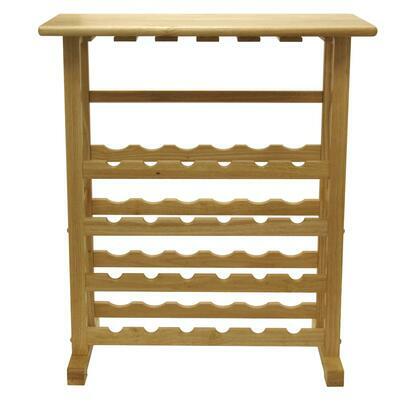 With space for 24 bottles and stemware, the Vinny Wine Rack is ideal for use when entertaining. The stemware holder can hold up to 24 small glasses or 12 large glasses. 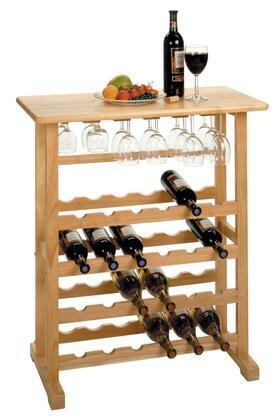 The overall size is 31.5"W x 16.2"D x 35.6"H. The rack is made of solid and composite wood in a natural finish. Assembly required. 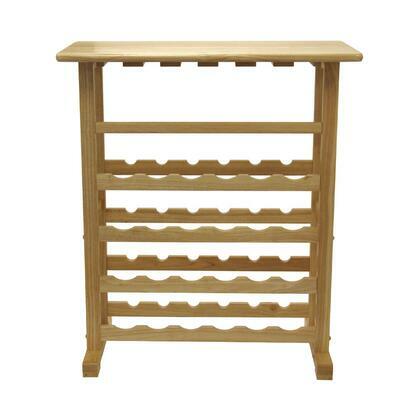 Overall wine rack size is 31.5"W x 16.2"D x 35.6"H. Top surface area of 31.5"W x 16.2"D.
Store 24 - 1 Liter wine bottles on this rack and up to 24 slim wine glasses. 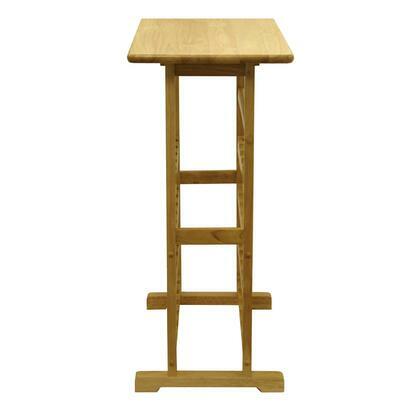 Crafted from solid wood in natural finish. Assembly required.